Grande Amore – 100 Million Views! Here is the Google Translate version of the article posted in the previous blog posted late Monday – kind of by accident. (it said you could reblog post at the end, so I did!) Ah well, live and learn! Also posting some various photos circulating social media….thank you and well-deserved credit to all owners of the photos with such creativity!! And of course, “our boys…” 🙂 For without them, we never would have known such Grande Amore was possible – meeting all of these wonderful people all around the world. This is the blog site I got it from: Grazie Mille!! Various pictures…. some from Gianluca, some from Il Volo, some from Gary Istok…. “When I think, I think only of you….” How true – aren’t they always on our minds and in our dreams? Previous Post“The Knight With His Hand On His Chest”~by Carmen, Friend of Daniela.Next PostIl Volo A Palazzo Colonna~by Daniela. What a wonder Jana, all the fandom is shaking for the good news. The guys deserved this recognition and we fans around the world did everything to make this dream come true. But did Jana ever see how this award was made? I had never seen him and I must say that I also laughed a little for his form. 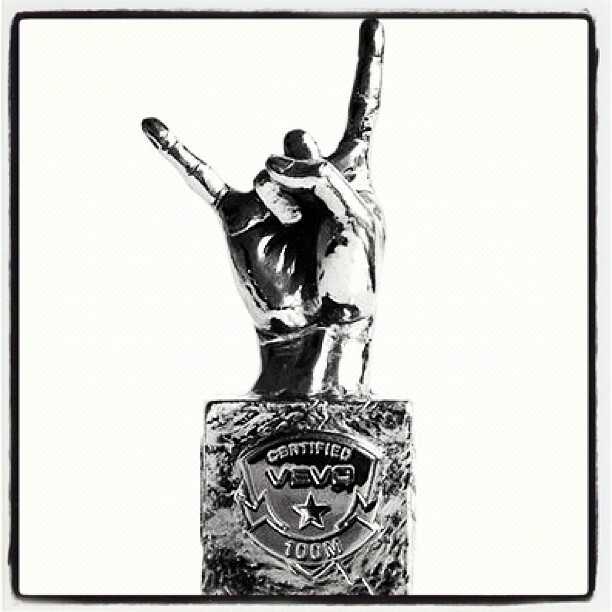 Now this award is for IL VOLO and also a little ours !! Wow, pretty cool! I didn’t know there was an actual physical award! Grazie mille! Thank you, Jana for this wonderful post!!! Thanks to Gary for sharing the photos too! This is a great honor for the Boys!!! I am so happy for them & so proud!!! Thanks, Daniela for the photo of their trophy!!! Our Flight with our precious Boys continues to soar into the Heavens!! I am so happy & thankful that I have met all you IlVolovers, making new friends along the way!!! Grande. Amore!!! Congratulations to our guys–the best singers on the planet! Daniela are the guys being emailed & told they won that 100 million award? Yes, Loretta, the guys have been notified of the 100 million views of VEVO certification. The guys also thanked all the fans for achieving the prize. Torpedine and Boccia (Grande Amore writer) thanked for the award. Parabéns aos rapazes do Il Volo pelo sucesso alcançado! I watched the video umpteen (that’s a lot) times, that was my contribution to a well deserved award. I think we all watched it umpteen times! Still love it–it’s their best one so far. Jana, Thanks, I did not know that Grande Amore video was shot in one day. Wow! The guys never cease to amaze us.